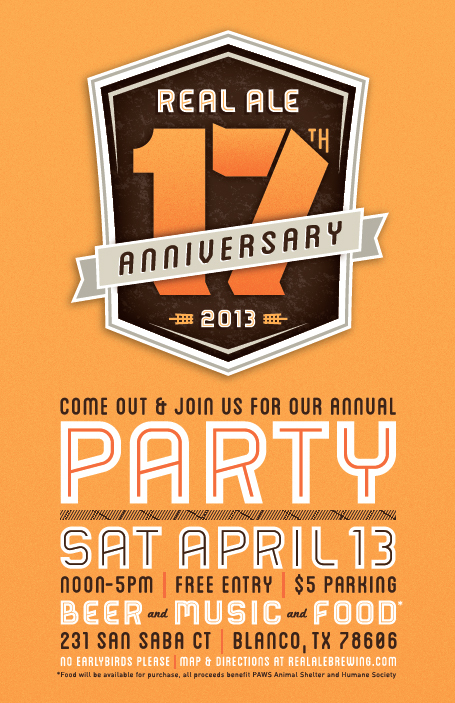 17th Real Ale Anniversary Party! 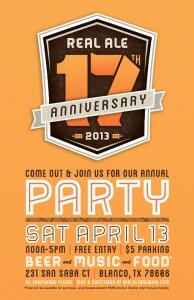 James and I have not missed a Real Ale Anniversary Party since we moved to Austin. Every year we get a group of friends together to go out, prepare a picnic, and brave the heat to drink some great beers at one of Texas’ pioneering craft breweries. This year we didn’t have to brave the heat, because instead of July, Real Ale decided to host the annual party in April! As soon as we got the announcement about the party we reserved a campsite at Blanco State Park. Blanco may have the tiniest park in Texas, but what it lacks in hiking it makes up for in location. The park is right downtown in Blanco and only a short two-mile walk to the brewery. As much as we love drinking great beer with friends on a beautiful weekend, we also love cooking, especially cooking out. This weekend we resurrected a few good old recipes including black bean veggie sausages and massage kale salad. We also made a few good new ones including grilled beets, chickpea “tuna” salad, and chimichurri basted skewers.